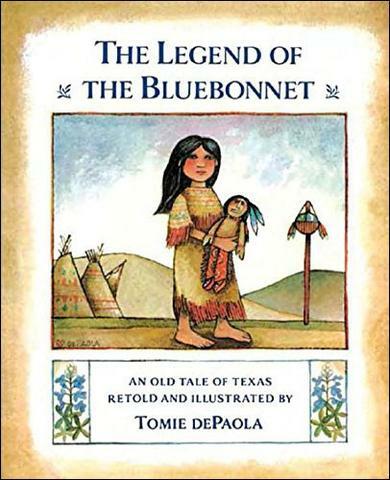 The Legend of the Bluebonnet retells an old Texas tale about an unselfish young girl who loved the people of her Native American tribe so much that she sacrificed the most precious thing she had to help end the drought. 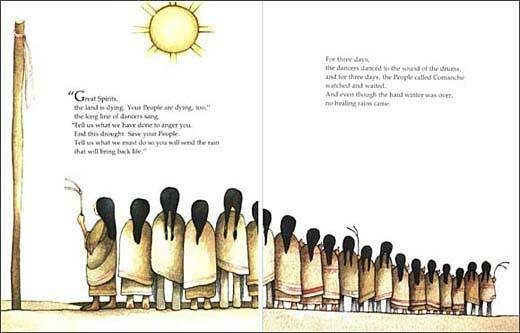 Young She-Who-Is-Alone had lost her entire family to the drought that was plaguing the Comanche people. All she had to remember them by was a special doll that her parents had made for her. When the shaman said that the Great Spirits were angry with the selfishness of the people and would end the drought if the people would sacrifice their most valued possessions, the people hesitated. "I'm sure it's not my new bow that the Great Spirits want... Or my special blanket." Only little She-Who-Is- Alone was willing to make the sacrifice to help her people. 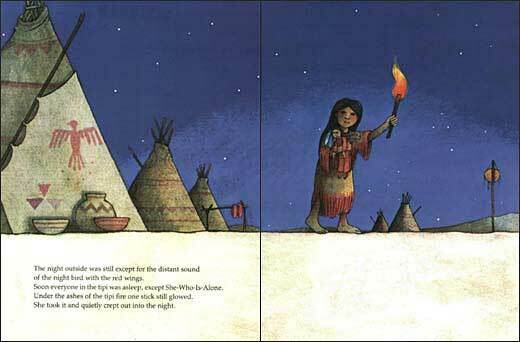 She snuck away at night, built a small fire, sacrificed her doll, and sent the ashes off in the wind. When she woke up the next morning, the once parched countryside was covered with blue flowers and the rain began to fall. The people recognized her sacrifice and from then on, she was known as One-Who-Dearly-Loved-Her-People. 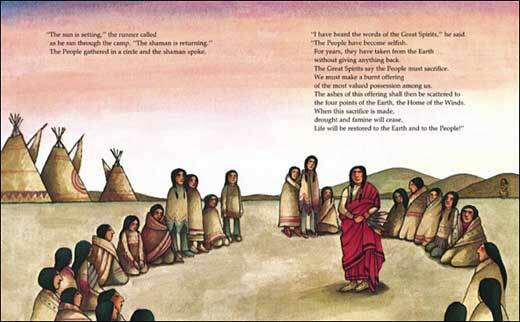 Below are sample spreads from inside The Legend of the Bluebonnet. We love Tomie dePaola's trademark illustrations. If you like this book, be sure to check out his other 'legend' books.